Earlier in the year, I wrote a couple of posts on the iPad and Maths Apps. I questioned whether there were apps out there that went beyond number facts drills and calculation games. One of my readers of those posts, Melissa, let me know about a group of apps called Hands on Maths. This set of apps provide a range of digital versions of hands on manipulative tools that are needed to develop important Mathematics concepts and skills. I am in no way suggesting that they replace the physical tools entirely but they do provide always available, easy to manipulate tools that are linked to independent investigations generated by the app itself. 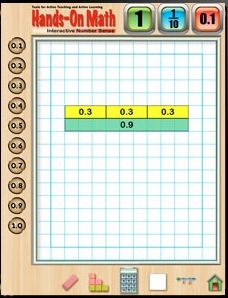 These apps include digital versions of geoboards, counting charts, Base 10 blocks, attribute blocks, fraction strips, grids, coloured tiles, abacuses and other maniuatives that support the development of basic number and spatial concepts.They would be particularly useful in supporting individual and small group learning plans for students who need visual aids and teacher aide intervention. Each app is customisable and allows for different skill levels and different types of tasks within the same app through a simple user interface. The settings are changed through the “cog” icon, the activities are accessed via the arrow icon and there is a home button to return to the beginning. There is also a tutorial included to explain the use of each app. What follows is a brief overview of some of the Hands On MAths apps available on the iPad used on how I have used them. For a more expensive look at the apps before purchasing them ( each app is $1.99 AU or the equivalent in your country) the company Ventura Educational Systems has an excellent website providing detailed information about all their apps, including downloadable PDF instruction guides. I wish other app creators would provide this much information about their apps so that you could make informed decisions about purchasing. Hands On Maths:Base 10 Blocks is a virtual mamipuative app that allows you to explore both whole number and decimal place value using the familiar base ten blocks, known in some countries as MAB. It also allows for addition and subtraction of numbers with and without regrouping. It is limited to 3 digit numbers from 100s through to hundredths. It works through simple dragging and dropping of block into a work space and the values are automatically generated as you build the numbers. A useful feature is built in that allows for groups of smaller values to automatically transfer into the higher value accompanied by an arrow that shows where the values transfer to. ( e.g when you make 12 tens in the tens place, it will change 10 tens into a hundred and leave the remaining 2 tens intact). this works in the decimal format as well. As I said in the introduction, I’m not suggesting we do away with the physical block usage as many younger mathematicians in training need to manipulate physical models. Where digital virtual manipulative excel is in instant feedback, quick turnaround of use, instant access and reuse and unlimited resources ( we often run short of blocks in whole class settings). Together with discussion with a teacher on a one to one or small group basis while manipulating the virtual blocks, I see this as a good tool for working with at risk students. I like that the app allows for the use of decimal place value as well, even though here is a school of thought that we should use different models for decimal place value. Me personally, I like to maintain the link between the base 10 system across whole and decimal numbers to show the consistent relationship. The Hands On Maths Interactive Hundreds Chart is a counting board which you can set up starting from 0 or 1 and use to investigate, explore and discover number patterns and sequences. Users can mark out multiple counting sequences using different tools including crosses, ticks, circles and squares( transparent, opaque and solid) of different colours. Using these tools, students can discover patterns, common factors and multiples, predict the next few numbers in the sequence by studying the pattern show so far. 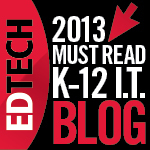 They can create their own or follow sequences given by the teacher or other students. Used effectively, much discussion can be generated about number sequences as a precursor to Algebraic patterns through visual representation. Again the advantage of the digital tool is the quick turnaround in exploring patterns and the instant reuse of the board. Hands On Maths Color Tiles has a huge range of options for developing important Mathematical concepts. The tiles can be used to create arrays for exploring multiplication and division. Addition and subtraction can be explored by adding or subtracting tiles by dragging on or off the workspace. These operations mentioned are supported by a built in pad that supports the calculations being done with the tiles. This pad can be customised to show fractional. decimal and percentage proportions of tiles on the workspace as well. There are also built in grids that can be used to support calculations or be used as graphs or co-ordinates. Symmetry can also be explored through symmetrical grids that create duplicate reflections vertically, horizontally or both as you place tiles on the grid. By exploring this app you will find more and more applications for the range of tools it provides. Read the PDF guide that is available on the website listed above. It gives further ideas. The moe I explore it the better opinion I form on this app. Check it out. 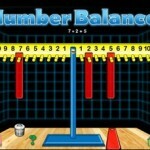 There are a number of other apps in the Hands On Maths Range that address number concepts. I’ll provide the links here and direct you again to the company’s website so you can check out for yourself what these apps offer. 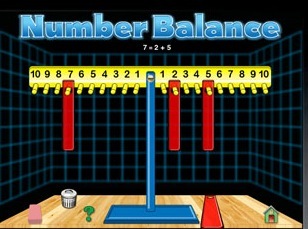 Number Balance can support the introduction and development of equality, equations and algebraic thinking by providing a balance tool that enables you to crate equations that equal different value combinations on either side. Tangle Tables and Multiplication Toolkit both give many opportunities to explore basic multiplication concepts in a hands on, concrete way. Hands On Maths also has a number of apps that support the teaching of geometry and other spatial concepts. I’ll discuss them in a later post. When I first discovered these apps, I thought they were nice little activities for the juniors to explore. As I explore them deeper, though I can see their applications in higher grades as well, used creatively and in context. In tutoring middle/high school children on the side, I get frustrated by the lack of hands on explorations of concepts by teachers in these schools. I can see a place for some of these apps in the right context. I recommend that certainly elementary/primary school teachers give these apps a go. Even if you don’t buy them, check out the company’s website ( I have absolutely no affiliation with them – I just discovered the site today file researching for this post). You might find some great applications for using the real versions of these virtual manipulatives that you can use to improve your maths teaching.